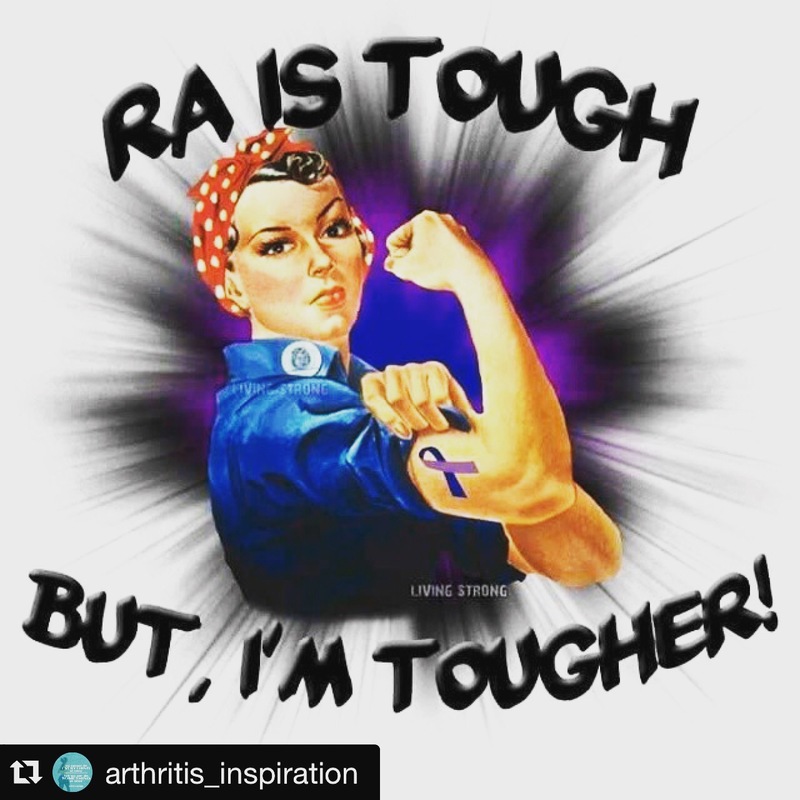 Rheumatoid arthritis is a cyclical disease, I feel good, I feel great, I hurt, I am exhausted, brain fog, days of clarity, depression and other mood swings. Blood draws every few months, infusion days every 8 weeks. It’s a never ending process that my body is going through over and over again. Medication helps but the flares still come and go. Im learning to love the good days and thank God for them. I have yet to embrace the bad days in a manner that brings me any type of peace but I have faith I will get there. I tell myself this too shall pass….and it does sometimes swiftly sometimes it takes days. Over this past weekend someone said “she doesn’t look sick” it wasn’t about this disease and honestly I don’t remember who or why it was said, but it stuck me like a knife. I don’t “look” sick. On any given day you could probably lay your hands on mine and feel the heat radiating when I’m in a flair….but I will still cook for you, clean for you, smile and laugh with you, because this is my life and this disease is just one part of me…and it WILL NOT WIN. My husband can touch the lower portion of my back and he will know I am in pain by the amount of heat he can feel. I will still run, I will still practice karate, I will still workout at the gym…. Because I can. I do not look sick but just like me and countless others it’s how we deal with what life throws us and it’s always tossing something somewhere, this just just happens to be the thing that landed in my direction. Fighting the good fight….hope you are too!!! It’s the small things that can mean SO much!